Mainland Ecuador is geographically divided into three distinct natural regions: the Coastal Lowlands (La Costa), the Andean Highlands (La Sierra) and the Amazon Rainforest (El Oriente). The backbone of the country is the Andes mountain range, which traverses the country from north to south. A fourth region is the Galapagos Islands Archipelago, some 1000km off the coast, out in the Pacific. The Galapagos Islands Region is covered in separate sections of this website. The coastal lowlands region (La Costa) runs along Ecuador’s western coast and features rolling hills, fertile plains, dense mangrove forests, swift rivers, and dense rainforests. The coastal lowlands have a tropical climate, and are hot and humid much of the year. The coast is hotter and rainier from January to May (the low season), and cloudy, cooler, and drier from June to December (high season). Along the coast are several different ecosystems: the tropical rainforest in the north, tropical savannas and cloud forests in the centre and southwest, and a dry forest on the peninsula of Santa Elena. The major beach towns along the south-central coastal area worth visiting are: Salinas, considered by many to be Ecuador’ best beach resort; Montañita, famous for its surfing and hippie culture; the large commercial and fishing port city of Manta; the popular eco-city of Bahía de Caráquez; and the sleepy villages of Puerto López and Puerto Bolivar. There are numerous national parks and wildlife reserves within the region, including Machalilla National Park, Corazon and Fragatas Islands Wildlife Refuge, Mache-Chindul Ecological Reserve and Manglares El Salado Wildlife Reserve. Puerto López is a great place to go whale watching as humpback whales arrive each year between June and October from the cold Antarctic waters to mate. Nearby Machalilla National Park combines magnificent ocean vistas, pristine beaches, and tropical dry forests. Isla de la Plata, 27 km west of Puerto Lopez, is a snorkeller’s paradise of reefs, multi-coloured fish and lively marine mammals, and the island’s bird and animal life is almost identical to that found on the Galapagos Islands. Similarly, Santa Clara Island Wildlife Refuge, supports large colonies of frigate birds and blue-footed boobies. Guayaquil – Ecuador’s largest and most populous city – is the cultural, political and demographic centre of the region with a magnificent riverfront walk called the Malecón 2000 which runs parallel to the Rio Guayas and is home to hundreds of shops, restaurants, bars and architectural delights. The misty cloud forest area is a mecca for wildlife lovers, especially birders, with 300 or more species to be spotted. There are a small number of superb lodges offering not only high quality accommodation but also escorted and independent excursions into the forest. 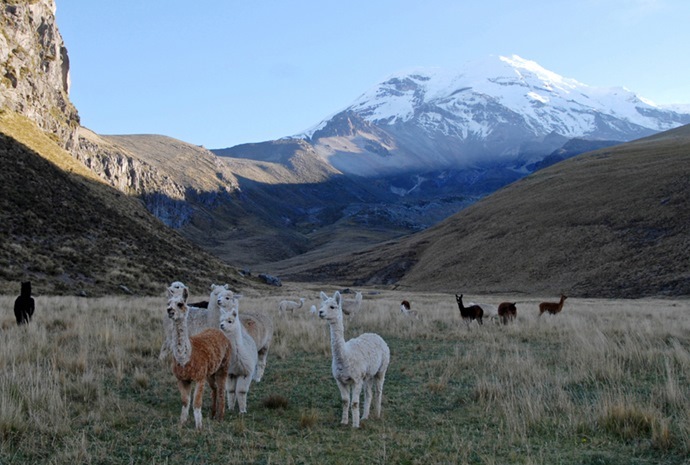 The Andean Highlands region, commonly referred to as La Sierra, lies between the western coastal lowlands and the eastern jungles and consists of snow-capped volcanoes, vast mountain ranges, barren paramo plains, fertile valleys, and humid cloud forests. Due to the high altitude, the region has cool, spring-like weather, with a good deal of sunshine. Temperatures vary throughout the day, with mild temperatures in the afternoon and chilly temperatures in the evening. Generally the region is overcast and wet during the rainy season (October to May), and drier and pleasant during the dry season (June to September), with light showers common in the afternoon. 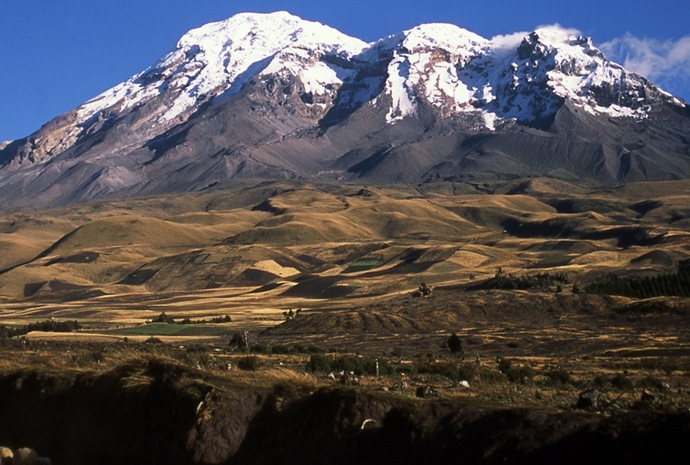 The region contains nearly 30 volcanoes — many of which are active — covering a distance of 325 km from northern to southern Ecuador. 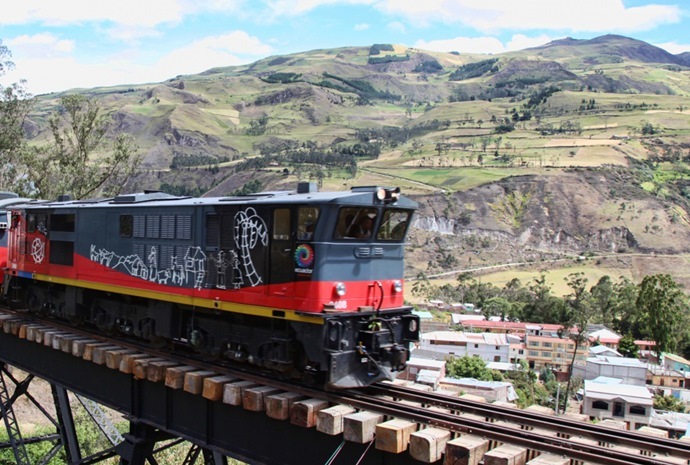 Known as the “Avenue of the Volcanoes,” one of the best known is in the scenic Cotapaxi National Park, which can be reached via a delightful journey on a vintage train from Quito. There are other national parks and beautiful cities such as Otavalo with its colourful market and World Heritage Cuenca. They are all ideal places for hiking & trekking, mountain climbing, horseback riding, mountain biking, river rafting or taking part in one of Ecuador’s jubilant cultural events and festivals. The Amazon Rainforest region (also known as El Oriente) hosts Ecuador’s most pristine and biologically diverse natural habitats. It is the country’s largest region and lies east of the Andes, descending out from the lush foothills of the Andes towards the Amazon River Basin. 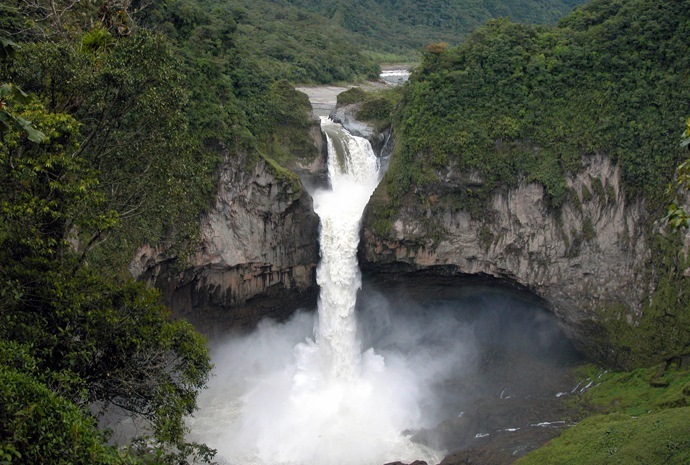 The region contains part of the Amazon rainforest, as well as large rivers and rolling jungles. The Amazon is hot and humid, and receives a significant amount of rainfall year-round. The wettest time of year is from June to August. The region is home to Yasuni National Park, the largest in Ecuador, where indigenous people still live isolated from the modern world. There are also three active volcanoes in the region. Eco-tourism is, however, the main attraction with the largest diversity of plants and animals per square kilometre in the world and numerous wildlife reserves with thousands of bird and fish species, including exotic species like tapirs, anacondas, boa constrictors, jaguars, harpy eagles, bears, monkeys & giant rodents.